Blue has had issues with the farrier the last couple times. 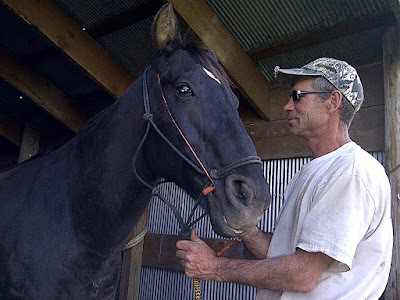 He has always had a "hitch in his giddy up" and I contributed his naughty behavior to soreness in his ankles. I had John bute him earlier today in hopes of alleviating any stiffness and seeing better behavior. Ah, that didn't work out so well. And I had to laugh when my farrier said, "he's not sore, he's a prick." So there you have it. He took a piece of twine and ran it over Blue's poll and into his mouth and onto his gums. John was to apply pressure when Blue misbehaved. Funny, he stopped misbehaving. I flashed back 10 years; our first farrier had to set the ground rules using this same technique. Wanna bet Blue won't be such a "prick" next time? 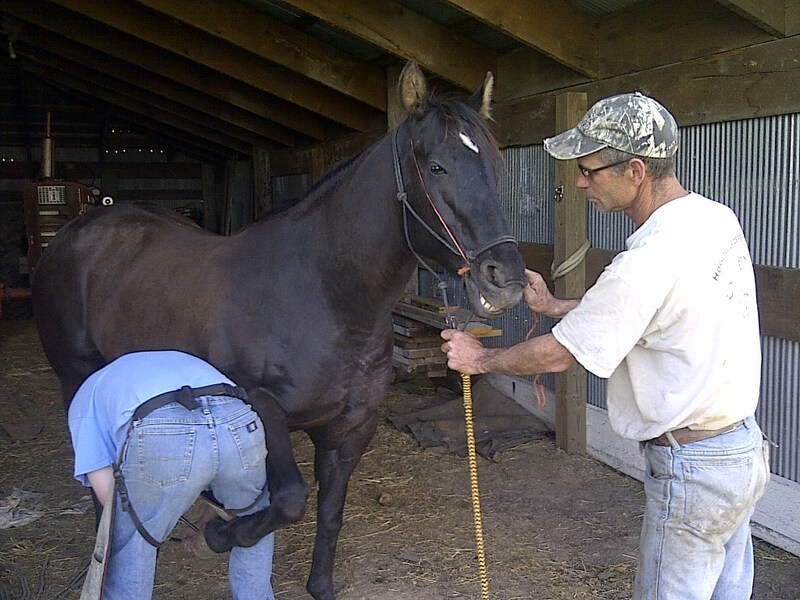 Some horses just know how to pull that stuff when the farrier is around. I'm glad yours is savvy enough to outsmart Blue at his own game. The poll and gum pressure sounds like a clever distraction to take Blue's mind off of any pain he has. Glad it worked so he could get his feet worked on. I read an article about pain distraction a few years ago. Pressure, and even pinching, can distract our brains and even help create endorphins so that we get temporary relief from other more serious pain that is going on somewhere else in our body, usually more severe than the pressure or pinching that is being applied. It works well, but is only temporary. Your farrier is a highly quotable guy. I love it. Heck, this Ozark Farm Chick has issues too when it comes to someone messin' with my tootsies!!! Heeehehe! 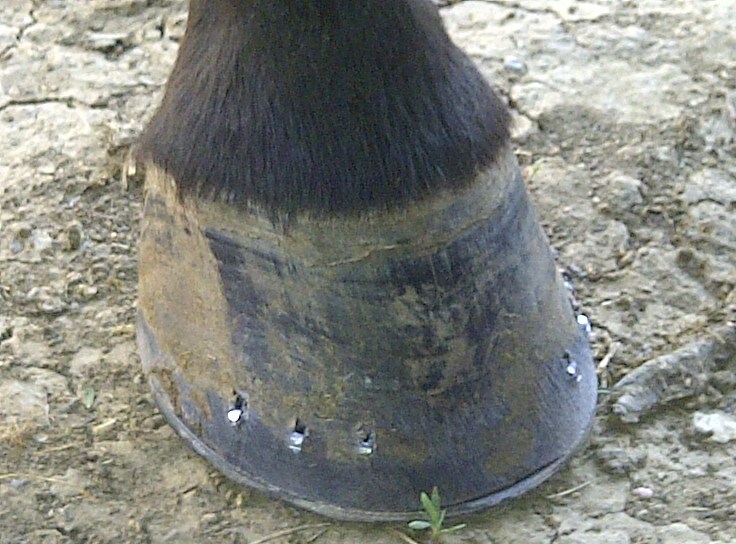 The art of Farriers has become few and far between 'round these parts. From the happy hills and hollers of the Missouri Ponderosa, ya'll have a blessed and beautiful spring day! Sometimes they just need to know who's boss! I try to do natural barefoot trimming when I can but sometimes I have to put the shoes on. I hate having to put the shoes on. Not only is it more expensive, but it takes more time!